In 2017 was produced yacht Bavaria Cruiser 46 named 2017. This vessel is available from marina Skiathos in the region close to Sporades in Greece. You can accommodate up to 9 persons on the sailing boat 2017. Scheme of beds is 9. There are 4 cabins situated under boat's deck. 2017 has 3 WCs. You can analyze more vessels by opening this link: Yacht charter Sporades. Diesel tank is 210.00 l l. capacious , water container has up to 360.00 l liters. In this vessel is installed motor 55 HP Volvo Penta. With 14.27 meters of lenght overall and 4.35 m of beam 2017 provides enough space for comfortable sailing. Bavaria Cruiser 46 2017 is equipped with: Autopilot, Gps, Gps plotter, Bow thruster, Radio / cd player, Bed linen & towels, Bimini top, Dinghy, Furling mainsail. . Nonrefundable deposit is 2000.00 EUR. 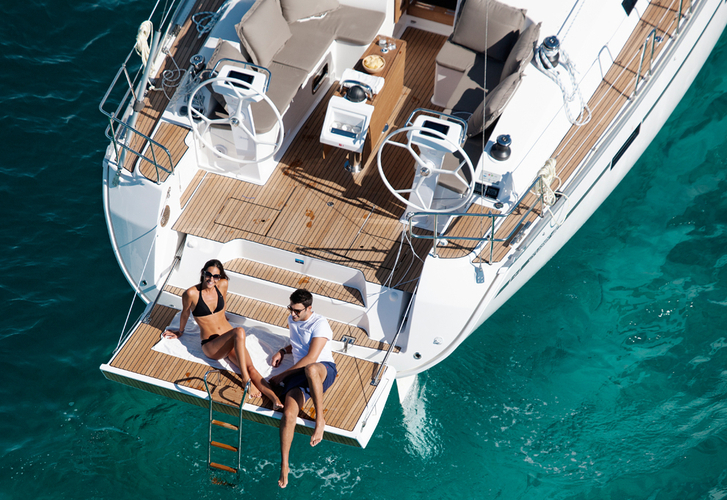 Find about different boats here: Yacht charter Skiathos.